The Oxford oboe reed is a very popular student oboe reed, used by players in the early stages who wish to keep costs to a minimum. 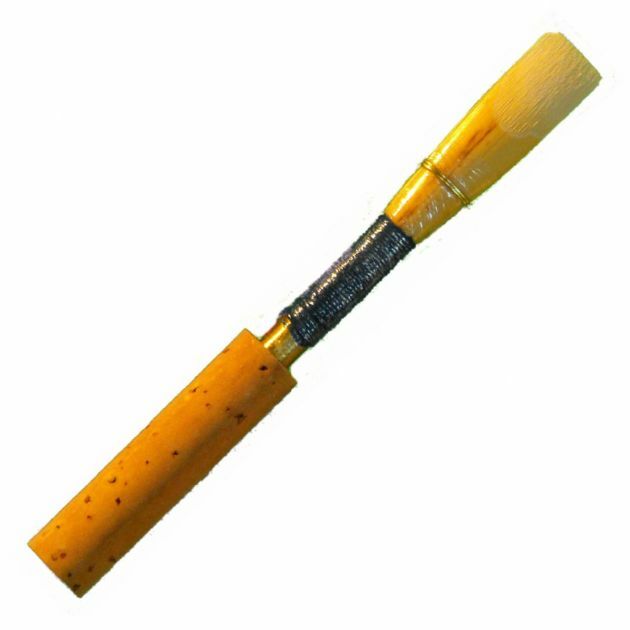 Our design gives a very free-blowing oboe reed, easy to play for the beginner, and with a strengthened tip to help try to avoid accidental damage which can happen through inexperience. For beginners wanting improved tone we recommend the Paris oboe reed as this is also responsive but with a more attractive tone. How many reeds should I buy? You should always have a spare reed in case the one youre using gets damaged. We recommend buying at least 3 reeds so that when the first one is no longer usable, you still have a spare, and you then have time to order some more. When will my reeds arrive? We post your reeds the same or next working day (note we are closed Fridays) by First Class post which usually takes 1 or 2 days. So for example if you order on a Tuesday morning you may get the reeds as early as Wednesday or Thursday, although if you order on Thursday evening your reeds may be posted on Monday to arrive Tuesday or Wednesday. It's best to plan ahead and order before you have completely run out of reeds! For orders outside the UK we use airmail.